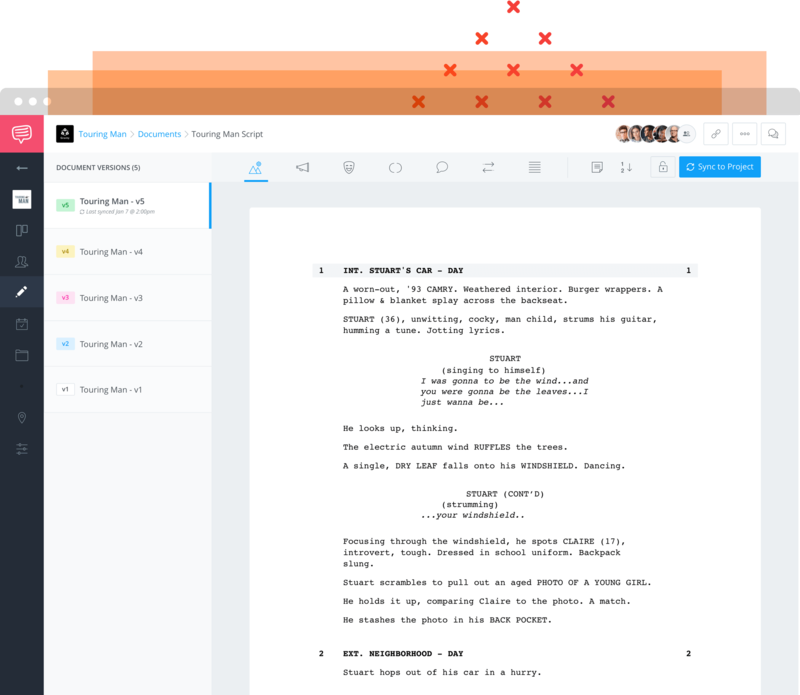 Write, share, and collaborate to create professionally formatted screenplays. Seamlessly connect scripts to the world’s leading production software. All in one hub. From script to pre-production with a click. 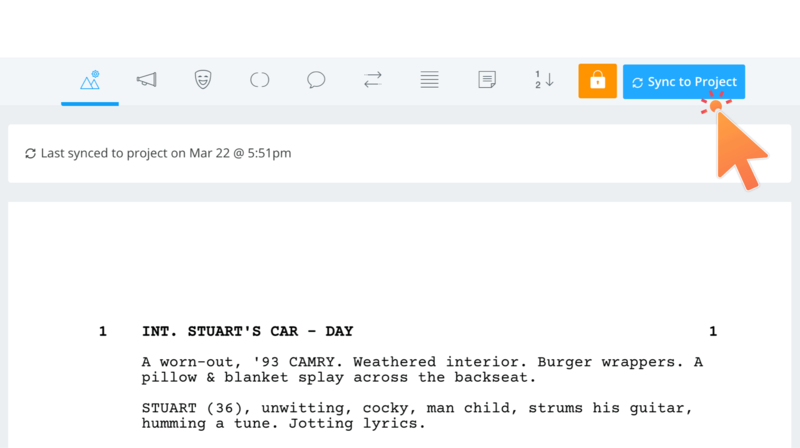 With StudioBinder screenwriting software, you can write your script natively within StudioBinder’s complete pre-production planning solution. Go from script to shooting schedules, shot lists, breakdown reports, and more — all in one writing and production planning solution. Making changes as you go? No problem. 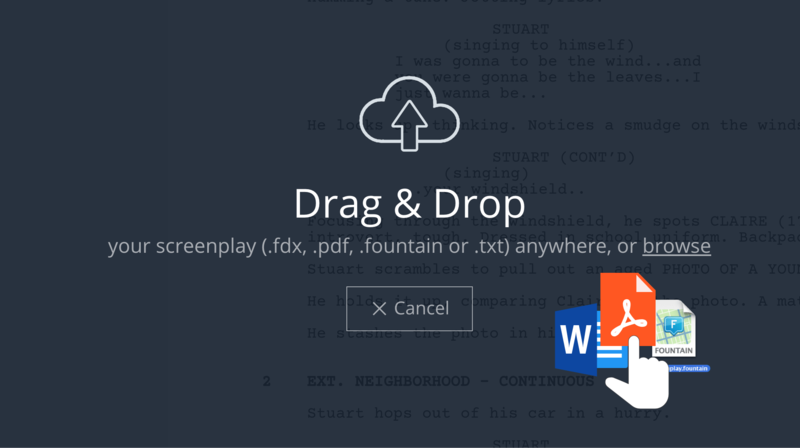 Sync and resync your script whenever you want to instantly update across every feature. Screenplays require creative workflow decisions. StudioBinder lets you start pre-production earlier so you can plan your shoot faster, and with total clarity. Write professionally, in industry-standard format. StudioBinder screenwriting software auto-formats margins, fonts, and screenplay elements to industry standards. Predictive features like auto-completes, keyboard shortcuts, and auto-save let you focus on what counts — storytelling, not formatting and software steps. 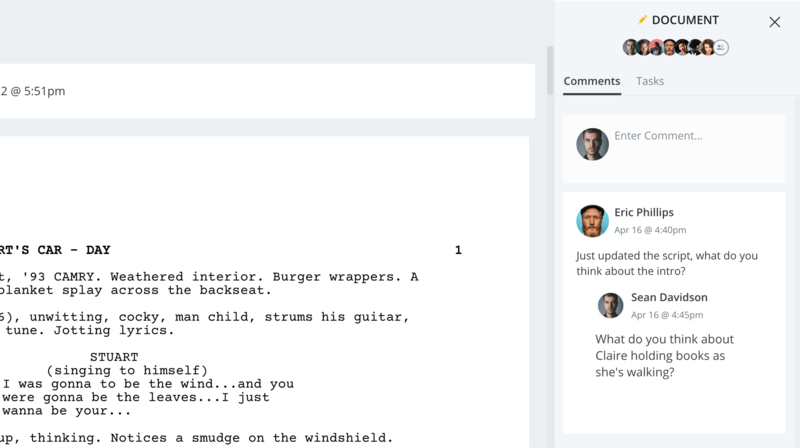 With its clean interface and easy-to-use toolbar, it’s script writing software that stays out of the way so writers at every experience level can get the job done faster. Convert scripts from other software. And keep writing. Whether you have a script in Final Draft or Fountain, a PDF or Word doc, or any screenplay software file, just import it into StudioBinder and continue writing. We retain original formatting so you can get started right away. StudioBinder screenwriting software takes the stress out of file format conversion. Write with partners. Share scripts and get feedback. Collaborating on scripts in the cloud lets you hand off writing to team members anywhere, working from multiple computers. 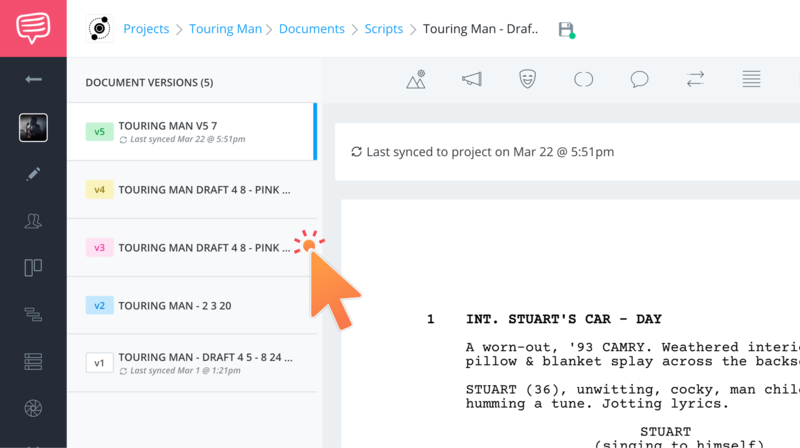 Your screenwriting software automatically saves your progress so team members always load the latest version. Give and receive notes as you write, and share your work any way you want — including view, comment, and edit access. Better collaboration gives you control and versatility to use StudioBinder script software in any stage of the production pipeline. Create and organize screenplay versions. Organize revisions and drafts the right way — and with maximum efficiency — with automatic industry-standard color coding and a sidebar to access your versions. Keep honing and improving your screenplay until you and your team decide it’s ready for production. Save and arrange every step digitally, in the cloud. StudioBinder screenwriting software gives you total visibility over an unlimited number of versions. It’s shareable, clickable, and convenient. Lead with creativity. Not your credit card. You might say we saved the best for last. 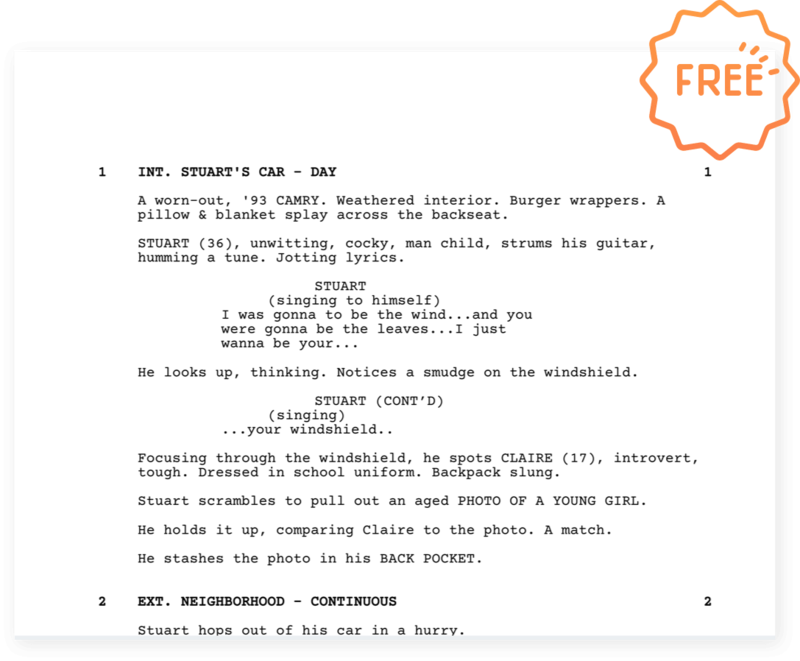 StudioBinder screenwriting software is completely free to everyone. Create as many projects as you like. Write as many pages as you like. No limitations. 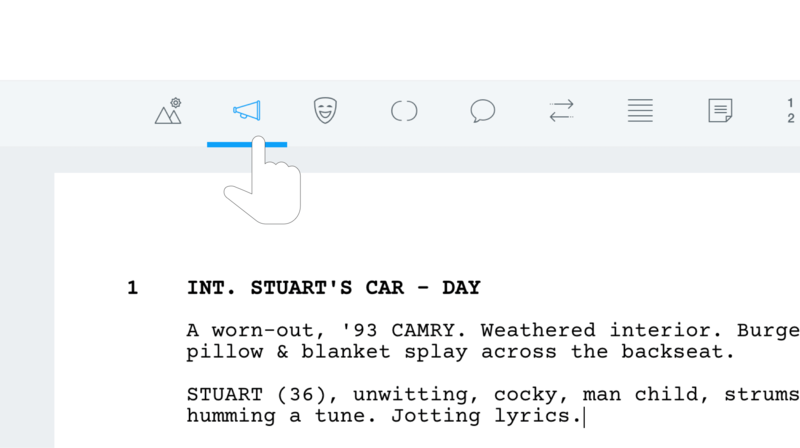 And with its holistic, all-in-one production features, StudioBinder isn’t just the best free screenwriting software — it’s also the best screenwriting software, period.